The original Holm Lodge was a collection of wall tents in which guests would sleep. 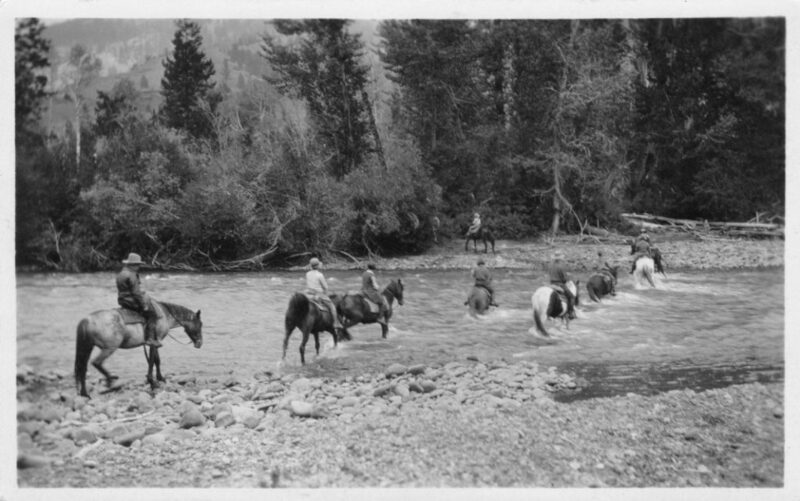 But, as interest in the dude ranching business increased in the early 20th century, more prominent guests began to make their way westward and more sophisticated accommodations quickly followed. 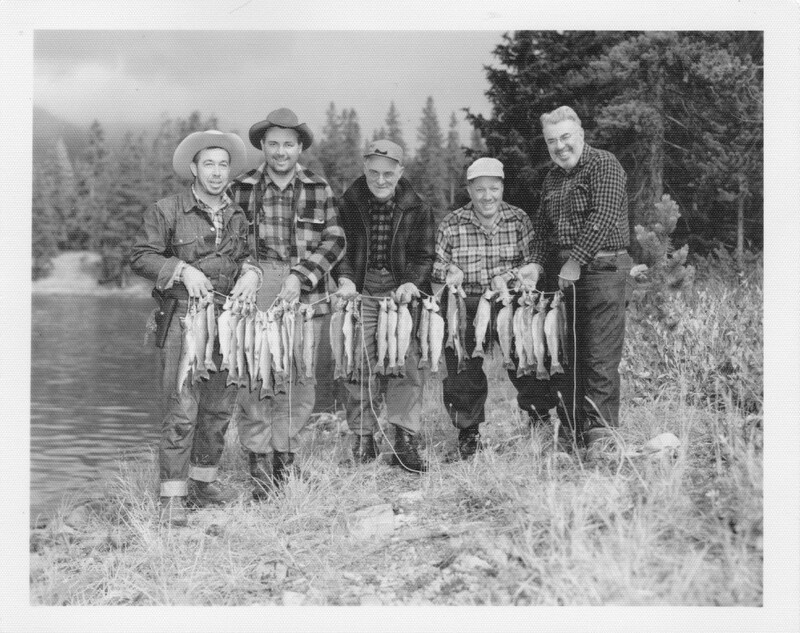 Six framed sleeping cottages went up in 1912 in addition to twelve, four-man tents and twelve, single-man tents bringing the total guest capacity to 200 tourists. Disaster struck soon after when the main building of the lodge burned down in 1914 and Tex went out of business from the new regulations allowing tourists to take private vehicles through the park. He was bought out by one of his former share-holders, J.W. “Billy” Howell. 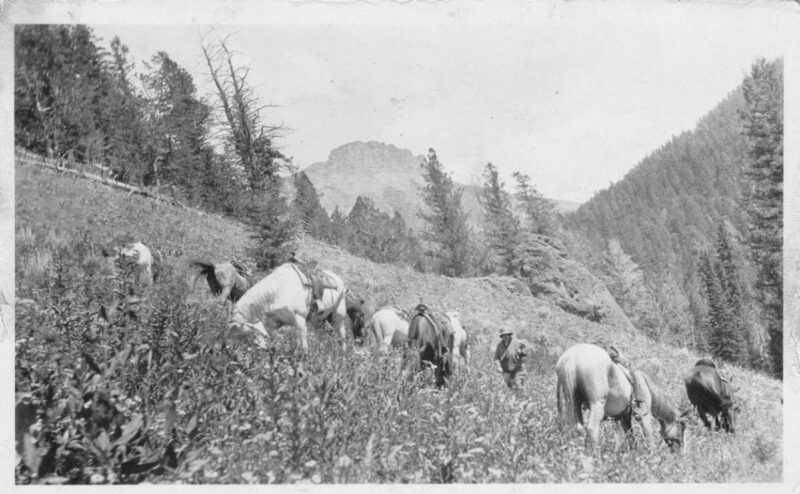 Howell’s horses carried his personal brand of the crossed sabres for the ranch. 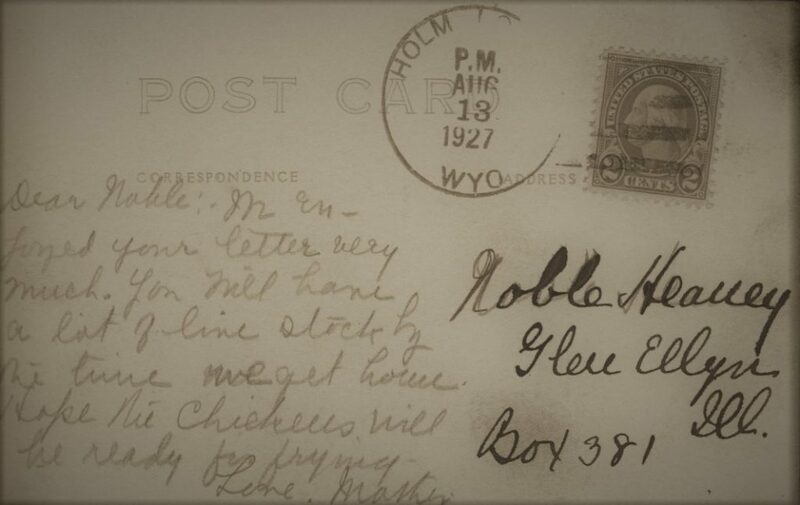 The name changed to Holm Lodge Crossed Sabres Ranch, and, not long after, simply Crossed Sabres Ranch. 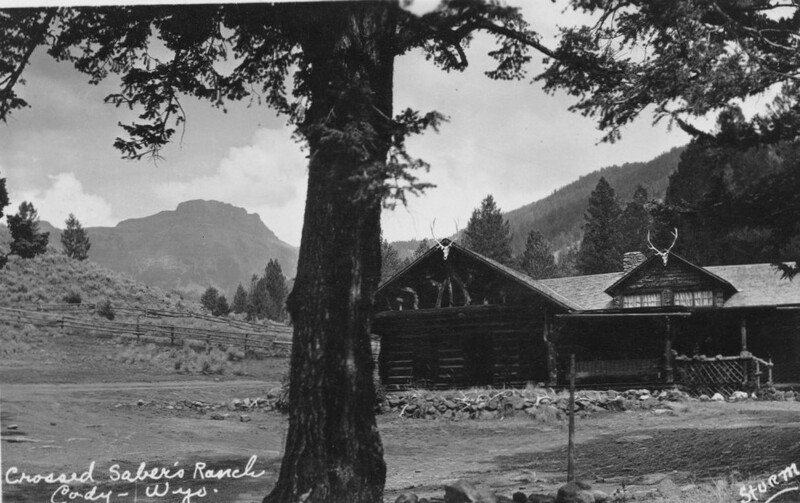 It became one of the original dude ranches that operated in the state of Wyoming. So began the Crossed Sabres Legacy. A fire burned down the main lodge in 2006, which led to the construction of the building you see today. We, Kenny and Laura Long, picked up the Crossed Sabres brand in 2013. Kenny comes from a lifetime association of training and showing horses, and as a family we come from a steeped background of dude ranching with our children. It is the invaluable time spent with family that we experienced that provides us with a steadfast commitment to provide the same experience to you and yours. The original stagecoach barn of Tex Holm’s operation still stands on the property today and we see it as a testament to the experience that can still be found here: a chance to disconnect from the hustle of daily life and embrace the beauty that exists here — the joy of simple western living. From small numbers of guests each week to family-style dinners, we seek to give you something special: the vacation of a lifetime! Watch the video below; you’ll see what we mean! Interested? Click the link to explore all the activities we have to offer.